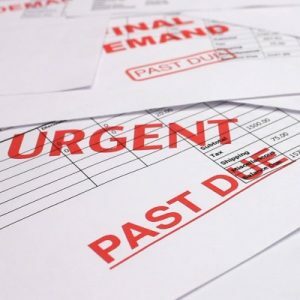 Whether you are trying to get out of debt or just trying to control your household expenses, a budget is essential part of financial planning. You can simplify the process of personal financial planning by putting it all down on paper. 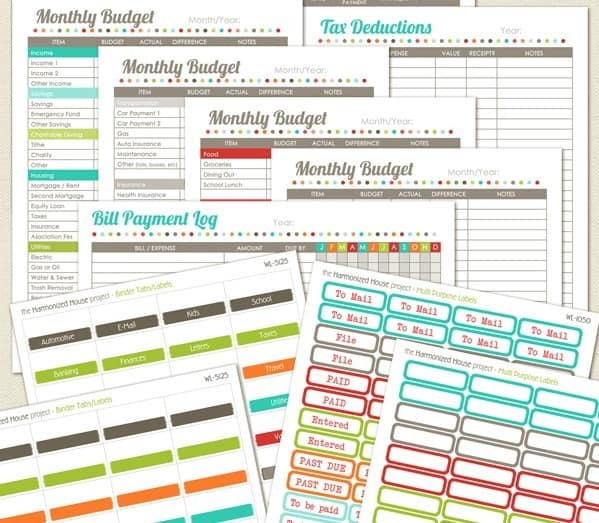 Using free budget planning printables can help ease the stress of managing your finances. There are a number of really pretty planners that can be purchased for tracking money and finances. Not everyone’s budget allows for purchasing tools to create a budget. If you are one of these people, no worries. 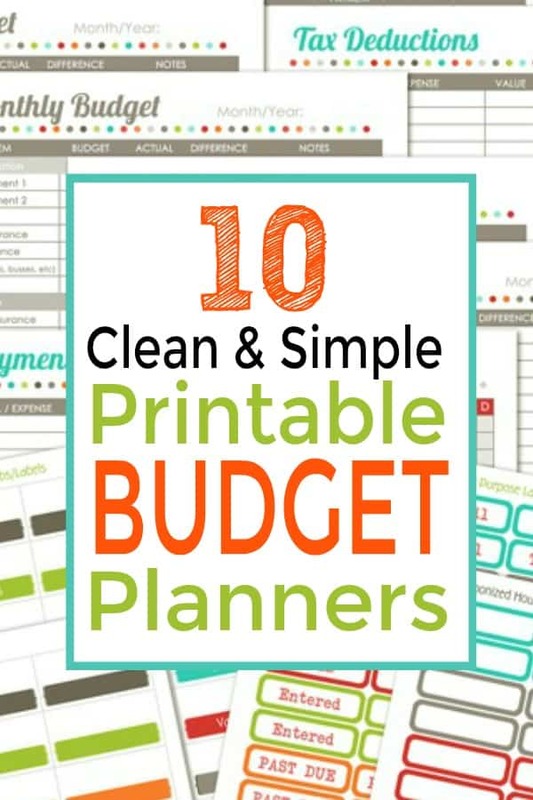 There are hundreds of free printable budget planners and trackers available. 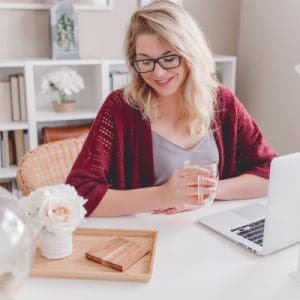 Whether you are looking for a detailed planner that gives you everything from soup to nuts or a simple one-page sheet for laying out your monthly bills, it can be found here. 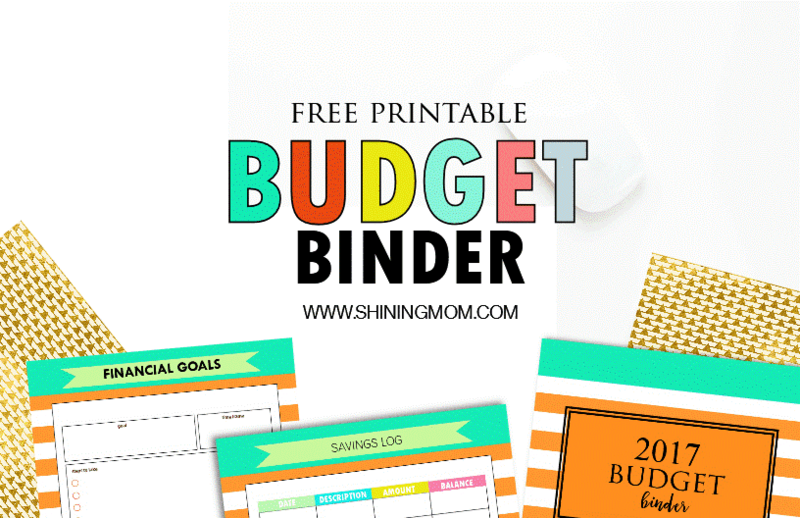 The Shining Mom offers this free budget binder that is simple enough to start tracking expenses, but detailed enough to get you setting goals for your future. This printable budget planner provides everything necessary to plan for financial goals, budgeting and saving. These bright and cheery set of worksheets make the perfect budget binder pack. This is the perfect set of worksheets to put your financial life on paper. 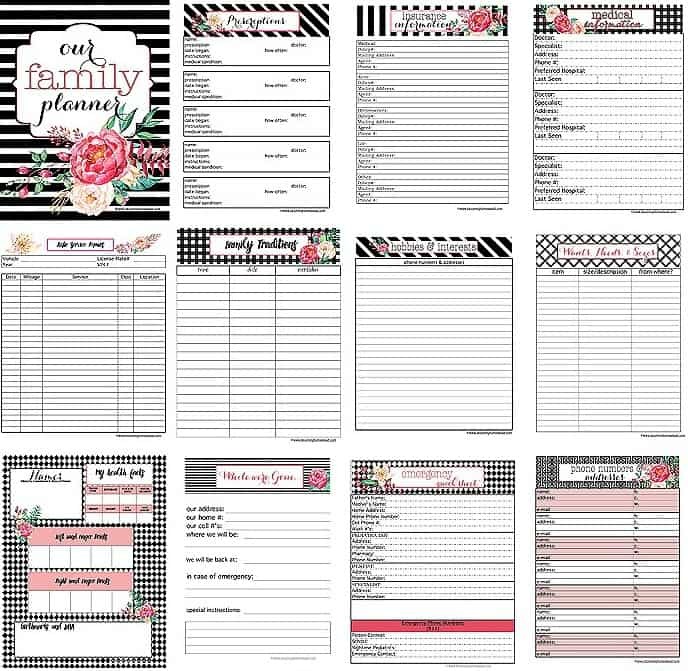 Free Home Organizational Printables via Blooming Homestead. Are you looking for a way to plan your whole life out on paper. This elegant pack of planners with your choice of colors will help get your home organized. Keep track of things like medical information, family traditions and prescriptions…just to name a few. This set of worksheets leaves nothing to chance. 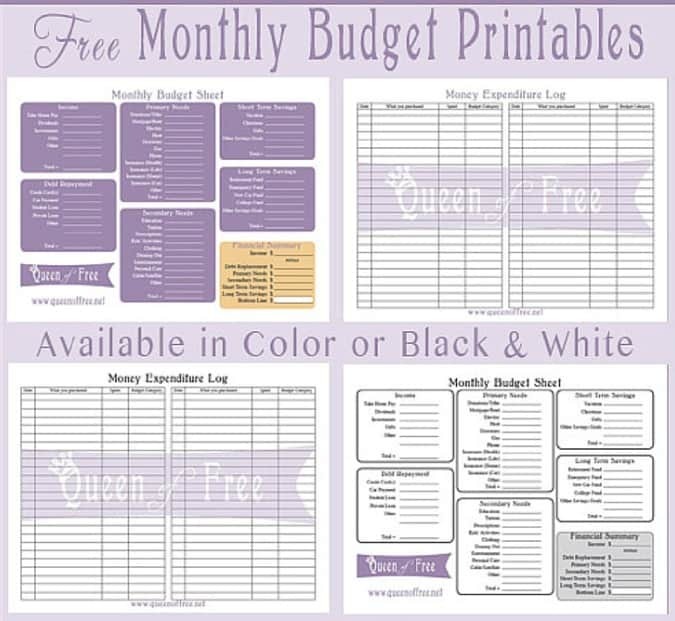 Free Printable Budget Worksheet via Queen of Free. Whether you like color or prefer to work from black and white, these simple budget forms will get started down the right path towards smart money management. This budget package includes a monthly budget worksheet and a log for listing spending. If you are person that likes the cliff notes version, this is the package for you. 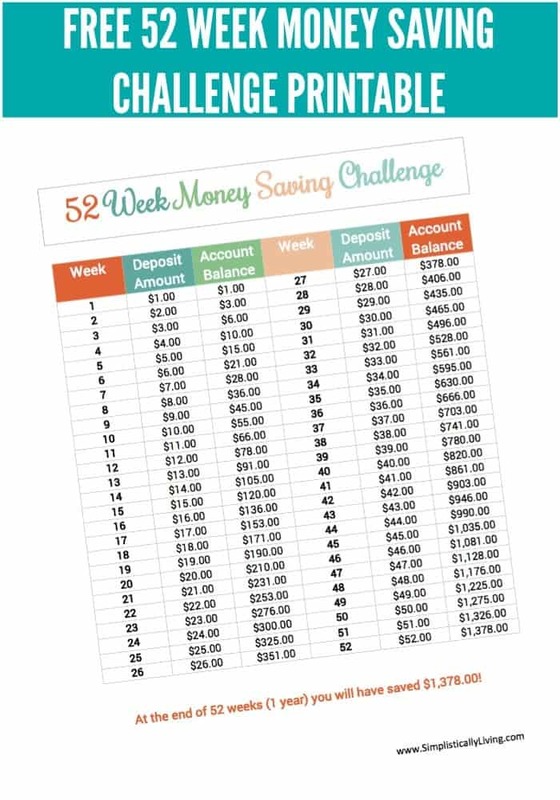 The 52 Week Money Challenge via Simplistically Living. Nothing works better for accomplishing a goal than a challenge. Challenge yourself to meet your money savings goal with this free printable for that will help you track your savings. This worksheet can help you change a few dollars a week into a $1,000+ annual savings. The Family Vacation Budget Worksheet via Living Well Spend Less. Everyone enjoys a vacation with there family. Whether you a planning the vacation of a life time or just a weekend getaway, this vacation budget worksheet will help you plan for the special time away without breaking the bank. Download this vacation printable and plan the perfect getaway. Free Family Budget Printable via A Spectacled Owl. 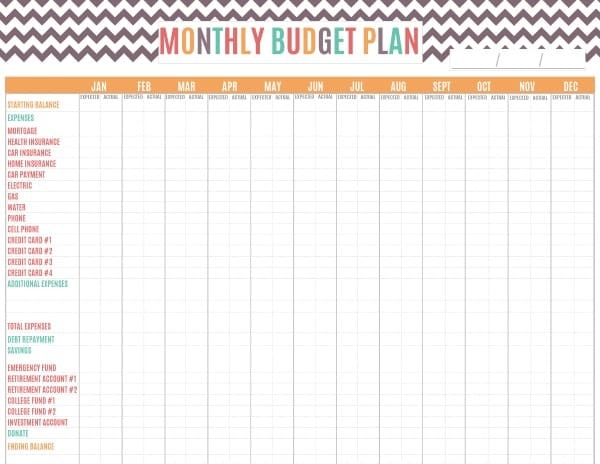 I love this simple, colorful budget planner worksheet. Print this out each month to plan your spending and keep your budget under control. This clean and simple printable puts your monthly budget on a single page with a few view of your goals to keep you motivated to stay on budget. 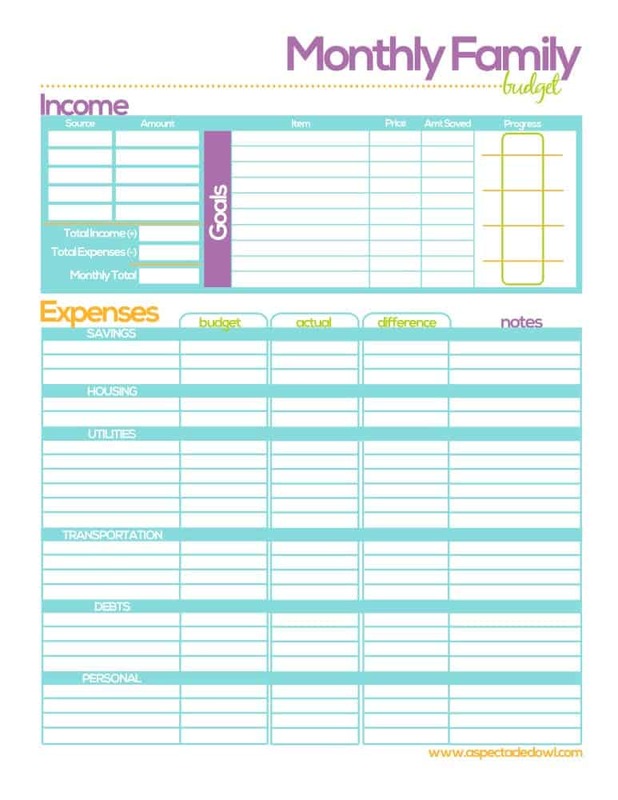 Printable Budget Planner by Month via Freebie Finding Mom. Are you looking for a budget planner that will let you look at your whole year at-a-glance. This straight forward planner allows you to fill in your expenses for each month as you plan out a whole year. Plan out your next financial year with this at-a-glance annual budget planner. 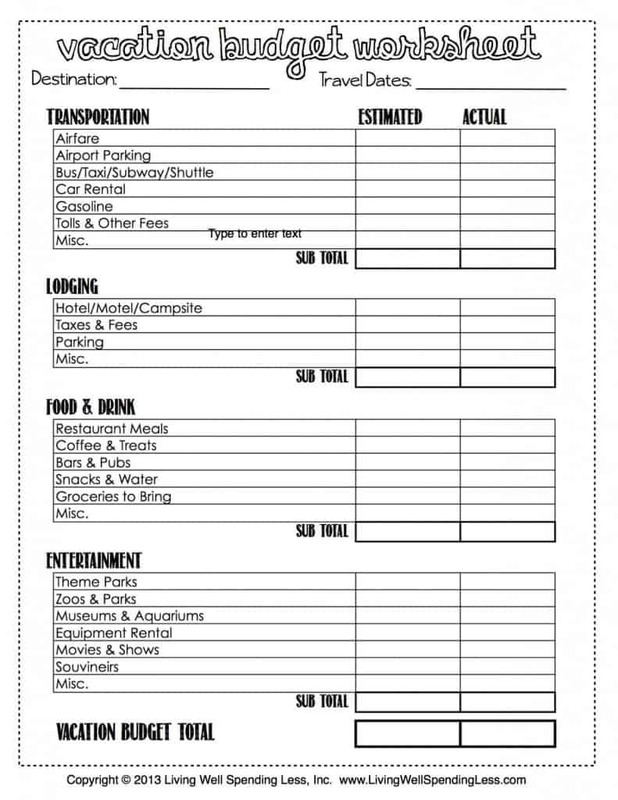 Family Budget Worksheet via A Mom’s Take. This colorful family budget worksheet covers everything from saving to spending. There is a column for expected expenses, actual expense and the difference between the two. The family budget worksheet allows you to analyze your budgeting by comparing your estimated expenses to your actual expenses. 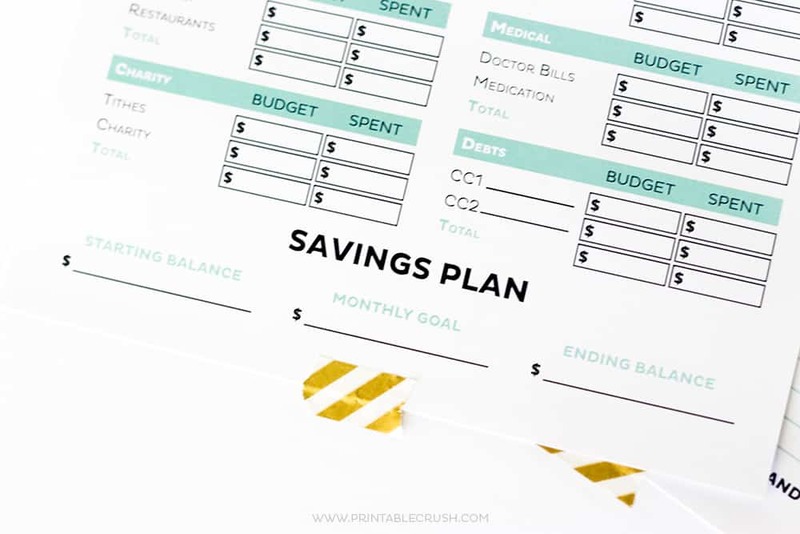 Free Printable Budget Worksheets via PrintableCrush. This packages includes an expense planner and a savings worksheet. They are colorful and simple. Don’t like color? They can be edited to a color of your taste. 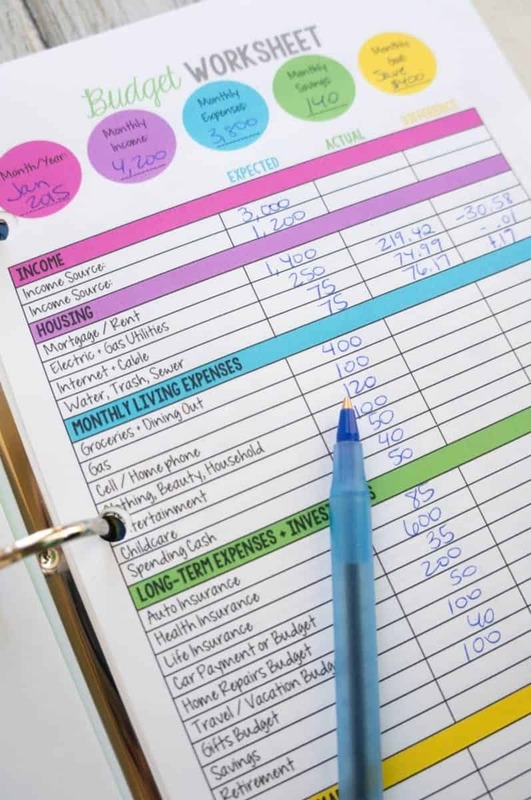 Start tracking your finances today with these easy-to-use worksheet. Home Finance Printables via Worldlabel. This kit includes an annual and monthly budget worksheets, bank account and bill payment log, debt worksheet, and even a tracker for tax deductions, along with some printable labels. This package includes everything you need to plan, track and monitor your finances as well as save for the future. Planners, whether they are single printable page, an online tool or a journal with many pages, have to fit your personality. If you are a person that likes detail, you can most likely handle the multiple page A – Z layouts. If you become easily overwhelmed, you may be better off with a one page summary. Some people live their life off their mobile device. In that case, an app may be what you need. You get the idea. Find what works for you and leave the rest for someone else…good luck!